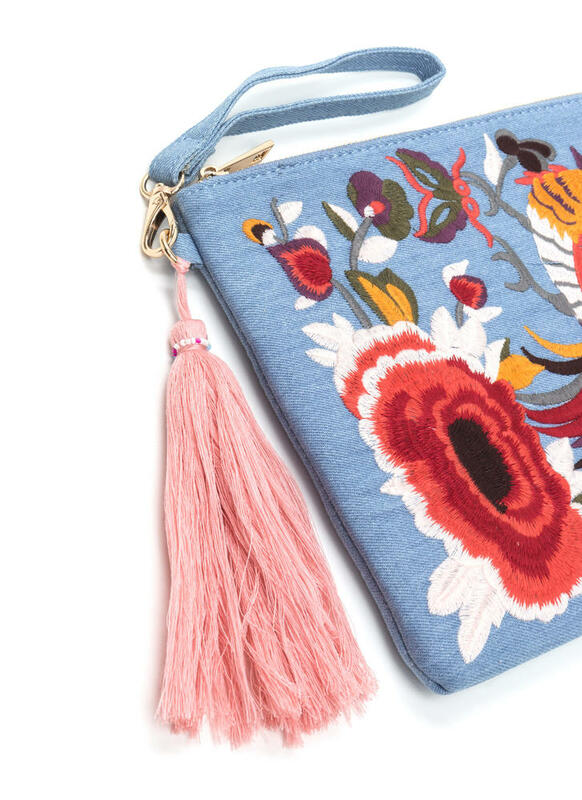 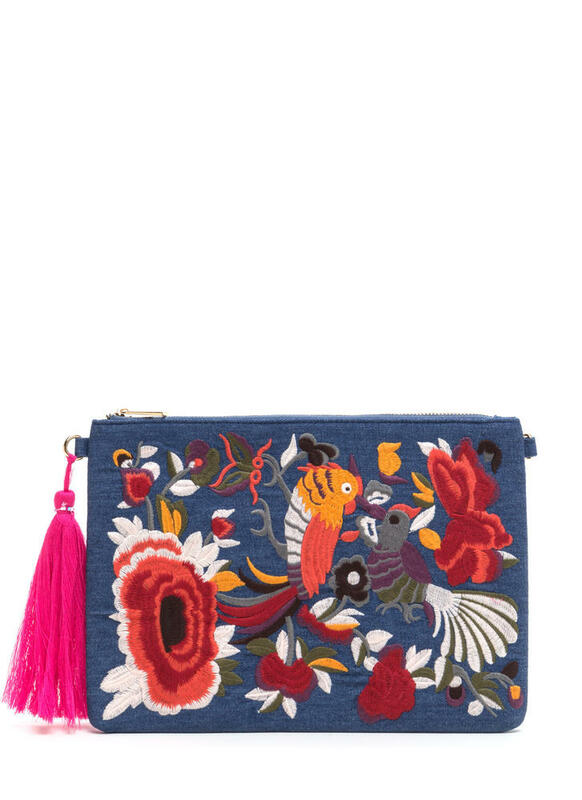 Vibrant embroidery embellishes this clutch to boho perfection. 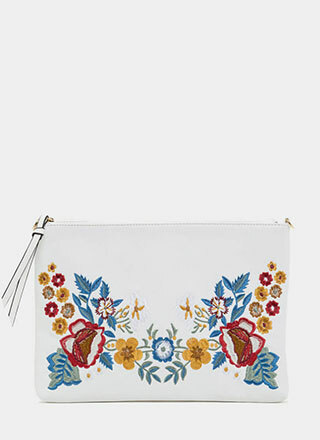 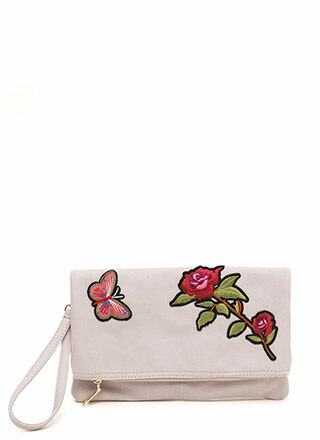 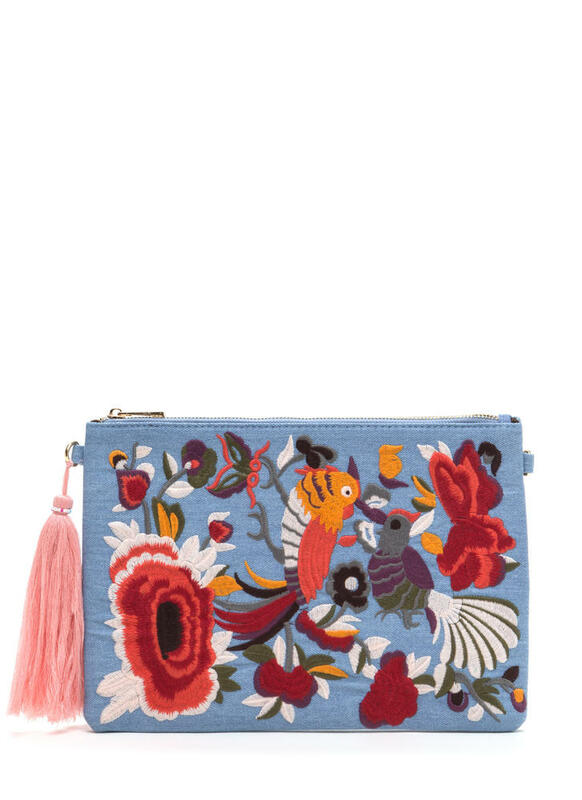 Flat, rectangular denim clutch features a folk-inspired embroidered design of stylized birds, flowers, and foliage. 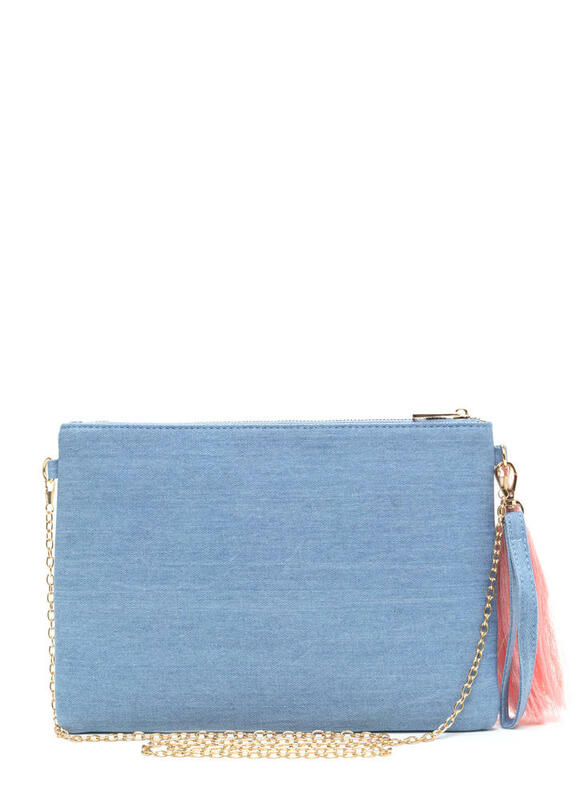 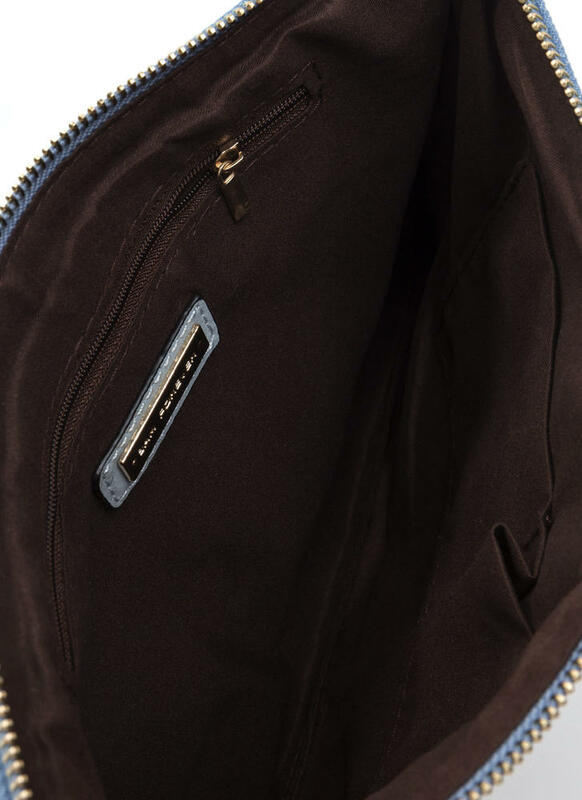 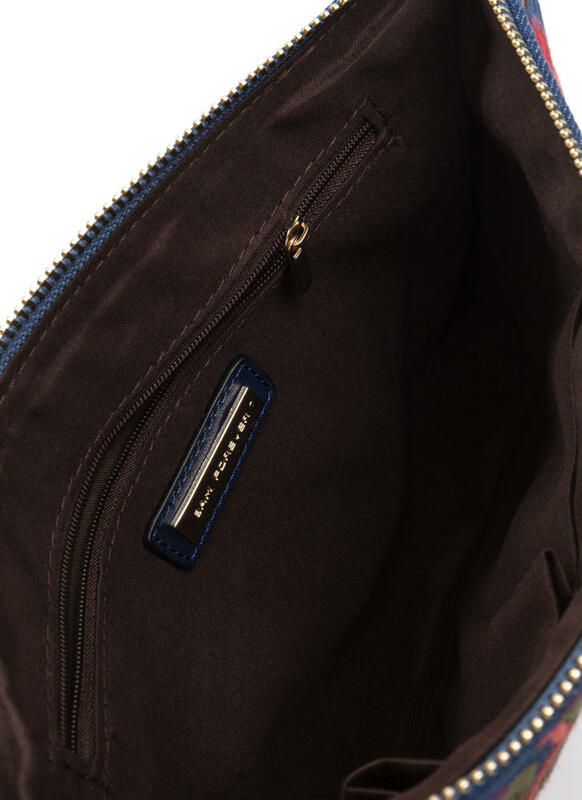 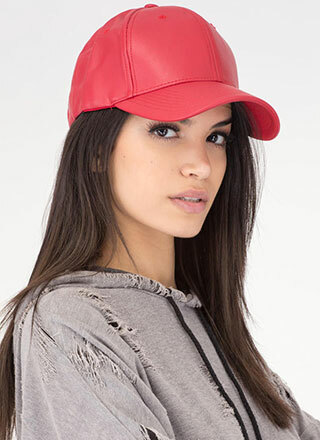 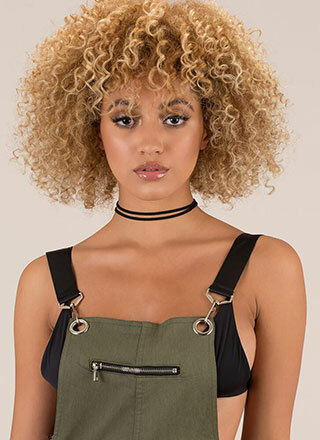 Long tassel charm leads to a zip-top opening which reveals a lined interior with two open wall pockets and a zippered wall pocket. 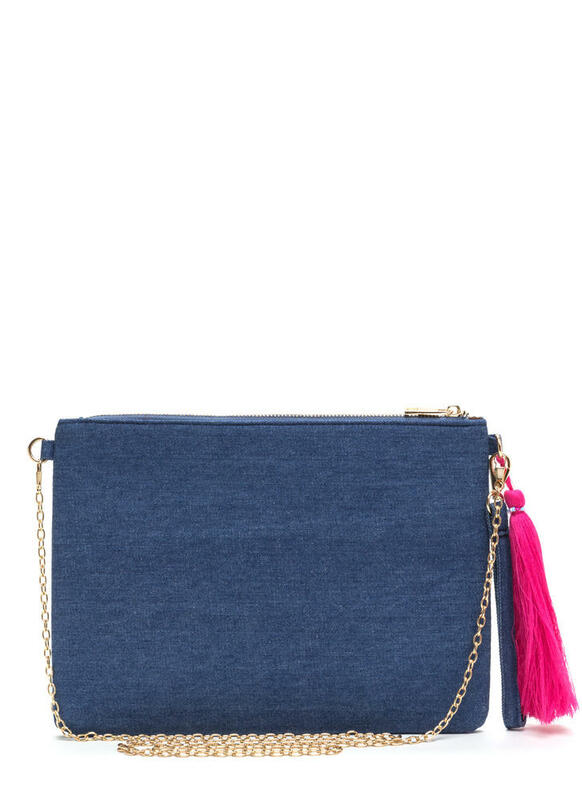 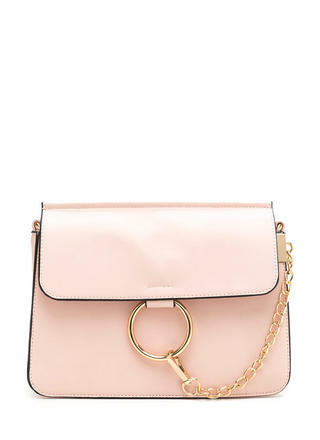 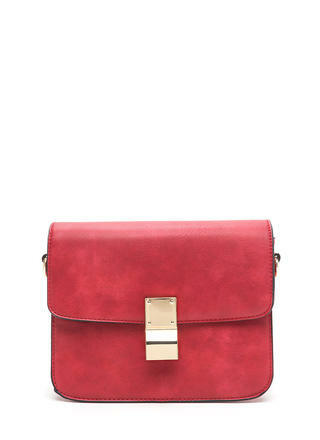 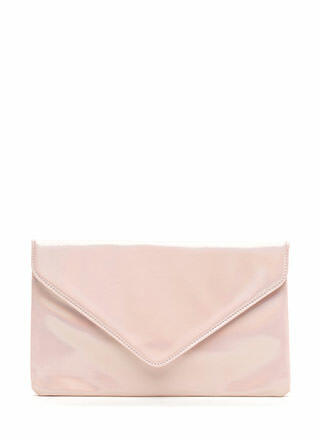 Clutch is furnished with a matching removable wrist strap and an optional, non-adjustable chain shoulder strap. 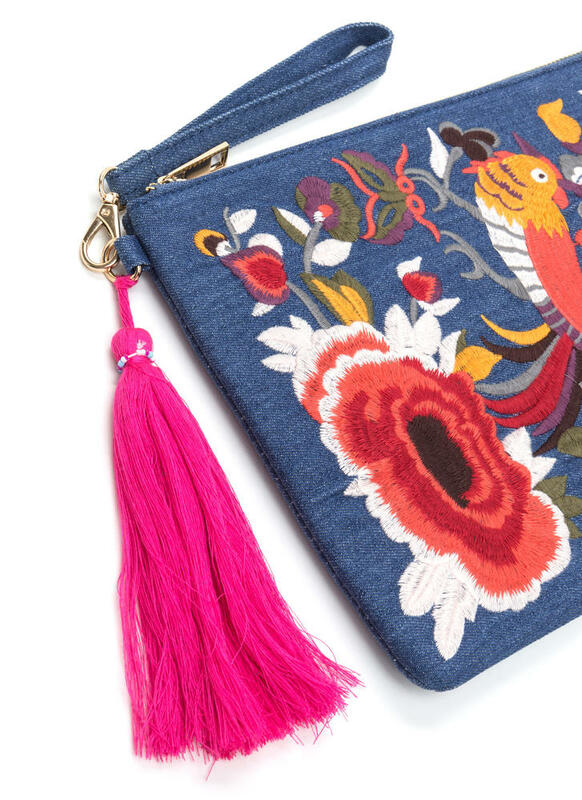 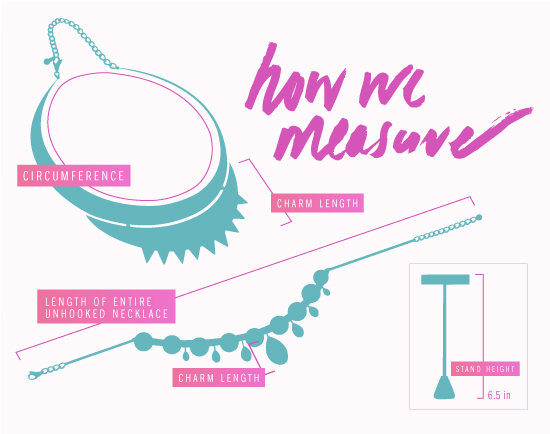 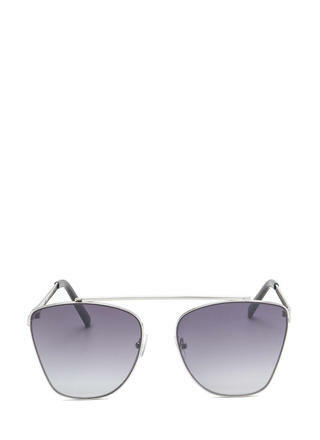 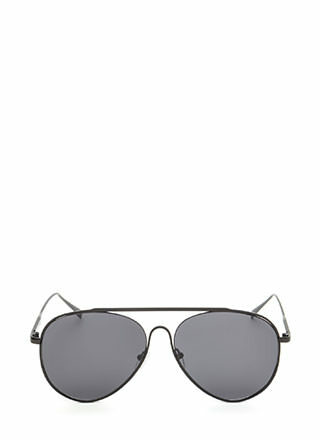 Length: 8.25", Width: 12", Depth: 0.5"